The death of a woman who fell overboard from the "Pacific Dawn" in the afternoon of Aprp 12 was not accidental but the tragic end to what should have been a memorable family holiday. Natasha Schofield, 47, from Brisbane had been at dinner with her husband before she went overboard around 150 nautical miles west of New Caledonia in the afternoon of Apr 12. She had been aboard with her husband, two daughters and a son. She was talking to her husband on the top deck before she took two steps back and deliberately propelled herself from the left side of the vessel into the water. The husband still tried to grab her by legs when she fell, but she was too far gone. He immediately raised the alarm and the ship turned around as a search began. In the morning of Apr 13 the search was called off following advice from marine rescue experts. Police were preparing a report for the coroner. The cruise operator, Carnival Australia, said it was cooperating fully with the police investigation and haded over CCTV footage providing an unobstructed view of what happened and portraying an obviously devoted and loving couple. The search for the 47-year-old woman from Brisbane, who fell from the "Pacific Dawn" about 150 nautical miles west of New Caledonia on Apr 12 about 4 p.m. was called off at 7.30 a.m. on Apr 13. Rough conditions had hampered the efforts. The swell of three to four metres and the strong wind made the search extremely challenging. The "Pacific Dawn" was on a seven-night cruise when the woman fell overboard, sparking a overnight search. The captain told passengers on Apr 13 the woman could not be found and the ship was heading back to Brisbane. The woman was believed to have been on holiday with her husband and children. Passengers said her husband saw her fall and went into shock. A crew member notified the bridge as soon as the woman fell and the “man overboard” incident response was activated immediately. The Australian Maritime Safety Authority and New Caledonian authorities issued a call for nearby vessels to assist in the search. Queensland police officers would board the ship when it arrived in Brisbane on Apr 14 about 11 a.m. 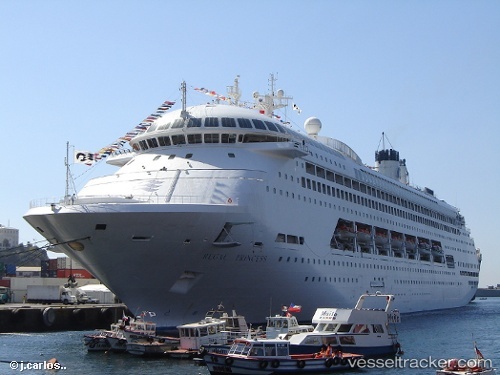 The ship was on a cruise from Brisbane to the South Pacific with scheduled calls to Noumea, Lifou and Port Vila.